Before you go off sending your resume which looked cool in the 1990s, it’s good to remember a recent study which says that HR experts spend only 9 seconds reviewing your resume before sending it to the wastebasket — or, if you are lucky, to the small pile of those who made it to the next level. Which is why you need your resume to be the best in class. The most obvious thing to do is to hire a graphic designer to add some oomph to your achievements. You spend some time googling, then some time trying to replicate one of the best-looking examples, then wasted some more time hitting CTRL-Z to erase that mess from the screen. Here’s how to make the best use of those 5 tips. Quite often we don’t attribute a proper value to what we have achieved during our work history. We think that everyone is capable of doing that — no big deal! But your professional resume will highlight the details of your career so that you craft an accomplishment-based or outcome-based document that demonstrates your past and future achievements and their value to the new company. This is the main advice in our resume tips. Ensure that the focus point — your experience or your education — makes it immediately clear why HR manager needs to carry on reading. Carefully plant keywords and phrases from the job description that will indicate to the reader that you need to be invited to interview. Avoid jargon but best of all, avoid cliche words such as “motivated”, “creative”, “enthusiastic”, and “passionate”. Just don’t. 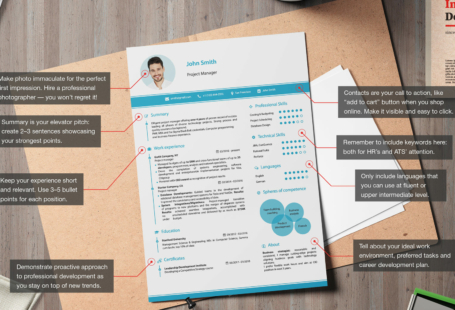 Design your resume like a pro within one or two pages, with all sections properly spaced and laid out for the optimal first impression. Keep it traditional but not boring. Keeps it concise. Nothing is more distracting than uneven page breaks, line spacing, odd fonts or weird lines that jump all around the screen. And no, please use no Comic Sans fonts in your resume. Let them connect with you. Showcase your networking skills by mentioning same events that are highlighted on your potential employer’s website or LinkedIn page. Ensure that your contact details are clearly set out, up to date, and professional. Now all you have to do is to respond to invitations promptly. The very first impression can become the last one if you do not meet the employer’s needs and expectations. Show them you are open to self-development. Good skills to mention are public speaking or presentation skills. Let’s face it — you may be very good at selling, creating a marketing strategy, or at managing assets. But chances are you are not exactly an excellent wordsmith or a champion in graphic design. And, as we don’t risk becoming our own doctors, lawyers, plumbers, or car mechanic, we shouldn’t design our job search documents from scratch. That’s is why our resume builder may come in handy. 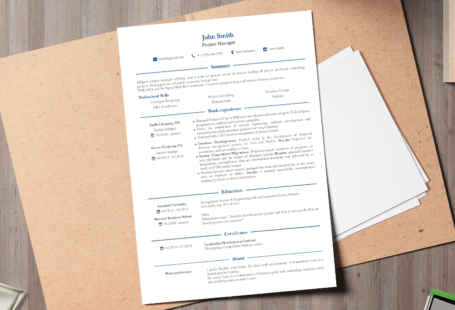 It has a free resume template so it’s easy to get started.